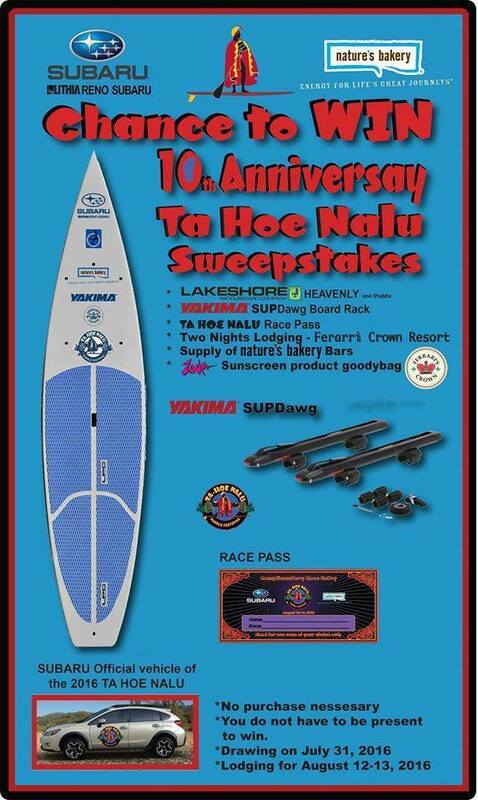 Enter to win a Lakeshore Paddleboard Company Heavenly board and paddle, Yakima SUPDawg board rack, Ta-Hoe Nalu Race pass, Two nights lodging at the Ferarri Crown Resort, a supply of Nature’s Bakery bars, and a Zinka Sunscreen product goodybag. Enter once per Facebook user per day. Receive a bonus entry for each person who enters from your shared contest link.